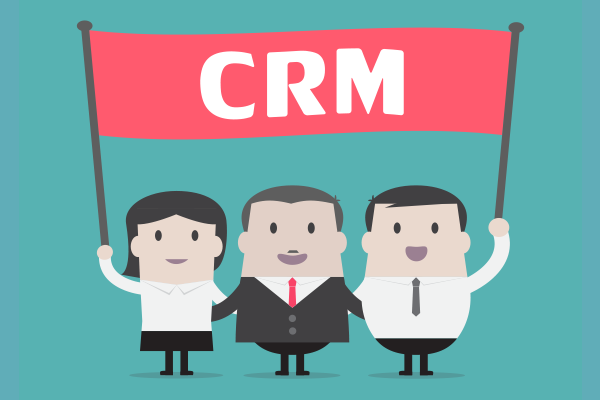 So what does CRM stand for anyway? You might have heard the term mentioned online or around the office, and typed CRM into Google, to discover that it stands for "customer relationship management". But knowing what’s behind the acronym isn't the same as understanding what it really means for businesses operating in the real world. So to give you a more thorough grounding in the subject, here's a quick dummies' guide to CRM. If you’d like a longer read, check out: What is CRM? Way back in 1954 management guru Peter Drucker wrote that "the purpose of business is to create and keep a customer". CRM is the strategy you put in place to manage all your company’s relationships and interactions with both customers and potential customers. The term also refers to the systems and processes you use to help you do that. Managed well, CRM has the power to directly improve profitability. Drucker’s maxim still stands, but the business world has transformed around it. Acquiring and keeping customers has become more complicated and sophisticated since 1954. Back then a business's customer development would generally rely on reputation, footfall, advertising and recommendation. Technology has changed things enormously – these days, company websites and social media are linked to sophisticated backend systems capable of analysing marketing data and extracting patterns that can reveal new insights about your customers. From telephone and letters in the 1950s and 1960s to the first days of search engines and email in the 90s – all the way up to today’s social media connections and data-driven personalisation, today's businesses are faced with a multitude of ways to find and connect with new customers. The channels we use to connect are multiplying and evolving at a rapid rate. Fortunately, the CRM industry has kept pace, with online CRM solutions becoming the standard and providing ways to gather and manage the many touch-points you have with your customers so that you’re always communicating effectively. CRM is all about understanding what you know, and accessing the right information when you need it. Crucially, it’s about contact management – keeping up to date with who’s who within client and prospect organisations, and building them relationships. By focusing on the right people and relationships, you’ll be able to help your customers but also improve your own sales pipeline and sales funnel. From the first time you first make contact with a potential client, you can track the various stages of your interactions with them as they move from awareness to consideration to purchase – and keep them coming back again time after time. By making this information easily visible and findable, the technology enables you to manage, prioritise and report on your activities easily. Understanding your relationship with your customer is an ongoing process. It's not just about getting new leads and converting them into customers: the aim is also to retain and develop customers for the long term. Ever been in a situation where you’ve made a complaint about something and then been passed from pillar to post, having to explain the issue to person after person? Chances are you never want to deal with that company again. Then there’s the opposite scenario – as soon as you give your name they understand the problem, can tell you what is happening and when. Your irritation is instantly diffused – to the point where you might tell a friend how well your complaint had been handled. That’s another aspect of customer relationship management, and it can make the difference between keeping a customer long term and losing them. CRM is not just about sales. If you're going to take customer service seriously as something to be measured and improved, you need to keep track of all your customer interactions – whether those contacts are on the telephone, over the web or through some other channel. This is the key to giving customers a satisfying experience, reducing their frustration and making sure their needs are not only met, but anticipated in advance where possible. Small businesses typically start with a simple system – maybe an Excel spreadsheet or a simple database system – but the quality of information can quickly degenerate, particularly if information is stored in more than one location or not recorded at all. Busy staff can write notes or emails with customer updates, but without a central source of information there's always the chance that information gets lost or versions get confused. The burden of sorting out this confusion all too often falls on the customer – which can lower their trust and lead to frustration. An effective CRM solution helps you put your customers’ needs first, ensuring all relevant information is accessible when you need it, so no time is wasted and you can turn any customer service interaction into an opportunity to strengthen your relationship. Once you move beyond the basics of CRM you'll find it can help you in other wider ways too. From marketing optimisation to business insights you never would have discovered. As your business grows it can be an effective tool in making sure that everyone in your organisation is working towards the same goals. Joined-up thinking across your business becomes easier you can ensure that you are following the right route map to achieve both individual and wider business targets. "Marketing and sales costs an average of 15% to 35% of total corporate costs... In cases we have reviewed, sales increases arising from advanced marketing and sales information technology have ranged from 10% to more than 30%, and investment returns have often exceeded 100%." In other words, the most basic point of a good CRM system is this: it can improve your business's bottom line.